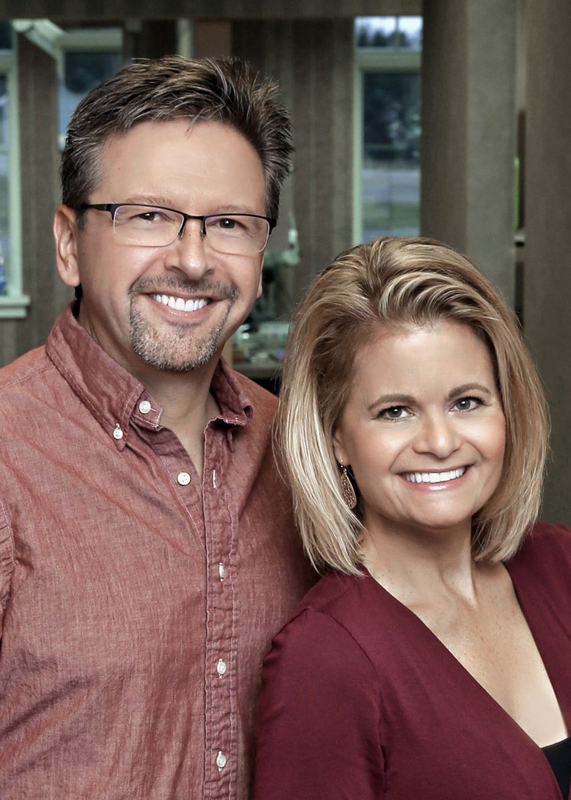 We are a husband and wife dental practice, established in 1992. Together with our highly trained team, we have provided general dentistry, cosmetic, implant, reconstructive and sedation services to Northern Michigan for over 27 years. We firmly believe that as dentists we play an integral role in the overall health and well-being of our patients. If necessary, we work as a liason with your medical care providers. We make it a priority to listen and understand your concerns, then respond with the best treatment options for you. We also follow up to make sure that general pain is relieved, problems are resolved and your health improves. Our mission is simple: we are here to educate and orchestrate your optimum oral health. This ultimately benefits your overall health! We make our own dental education a priority in order to provide the best care for our patients. We also want our patients to be well informed about dental diseases and treatment options, in order to make better decisions about their health and well being. To start, we’ve included an extensive section on this website covering the full array of topics associated with dentistry. We encourage you to look through these pages whenever you have an interest or concern about your dental needs and care. We also know that convenience is important in your selection of a dentist. Our location off I-75 just east of Gaylord on M-32, allows our patients to easily travel from all areas of Northern Michigan--including the Upper Peninsula! Please feel free to contact us with any questions you have or to request an appointment. We hope you’ll find our practice offers the accessibility and personal commitment you look for from a dentist. Dr. Edward Duski graduated in 1985 from Lake Superior State University with a Bachelor of Science degree. He had attended LSSU as a recipient of the late Senator Philip A. Hart Memorial Scholarship. Born and raised in the downriver Detroit area, Dr. Janis Duski has been a Gaylord resident since 1992. She attended The University of Detroit for her undergraduate training and The University of Michigan for dental school. "I applaud their pursuit of continuing education and advanced technology to provide the best possible services to their patients." "I started going to Dr. Jan when we moved here 16 years ago. She and her husband Ed are both great as well as their entire staff. I used to dread going to the dentist until I started going to Duski Dentistry and now I look forward to it. My husband and father are also very satisfied patients of the Duskis." "I just had my first visit and from the phone calls to checkout, my visit was seamless with customer services very that exceeded my expectations. Would recommend this office to anyone. I had the most comprehensive exam from the doctor that I’ve ever had! Can’t go wrong here." "I have been treated by several dental practices in my 71 years. Duski Dentistry is 'top notch'. Appointments on time, minimum time to complete work, very professional, friendly staff, good explanation of procedures and billing." "I had a dental emergency Sunday night (Easter Sunday). My wife and mom called every dental office they could find. They call Duski and got another number for dental emergencies. They called the number and the gentleman that answered was extremely helpful. He gave us ideas to try and told us of what we were doing wasn't working I should go to the ER until I could get into the dentist. I'm very grateful he was able to give us ideas and help us as best as he could. And grateful he didn't yell at my wife or mother like another dentist did." "Such a wonderful, friendly staff. It’s always a great experience." "Everyone at Duski’s is amazing! So patient oriented and they always have the latest technology! Love Love Love this office!!!! Plus they are so good to our communities veterans! Thanks for being AWESOME Dr’s Ed and Jan!" "Dr. Ed is awesome. I began treatment while living in Gaylord. I have since moved to Indiana but I make the 6 hour drive to continue treatment with Dr. Ed. He is that awesome. Everyone in this office is professional, courteous, and friendly. Amazing experience. Highly recommend." "Great customer service and care. Very welcoming, caring, and compassionate. Detail oriented and very informational. They take the time with you and make sure you are comfortable and have all your questions answered. Highly recommend!" "Due to weather conditions and previous obligations I had to reschedule two appointment’s. When I finally was able to make this cleaning appointment I was greeted like family. My cleaning experience was as wonderful as always!"